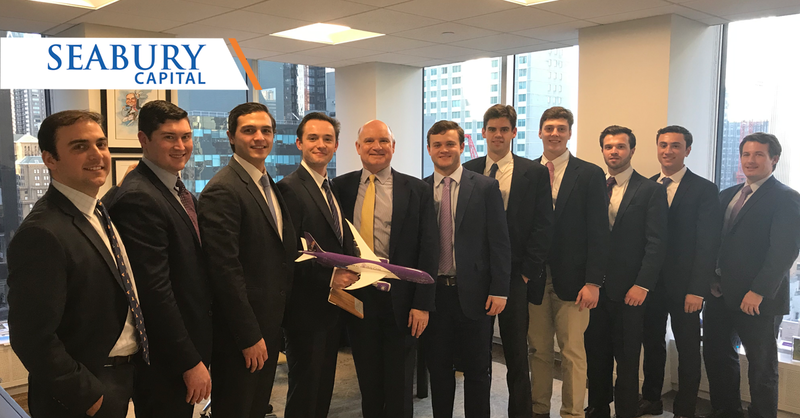 NEW YORK – January 2019 – The men’s lacrosse team of the College of the Holy Cross traveled to Seabury Capital’s New York office this January for a career visit. 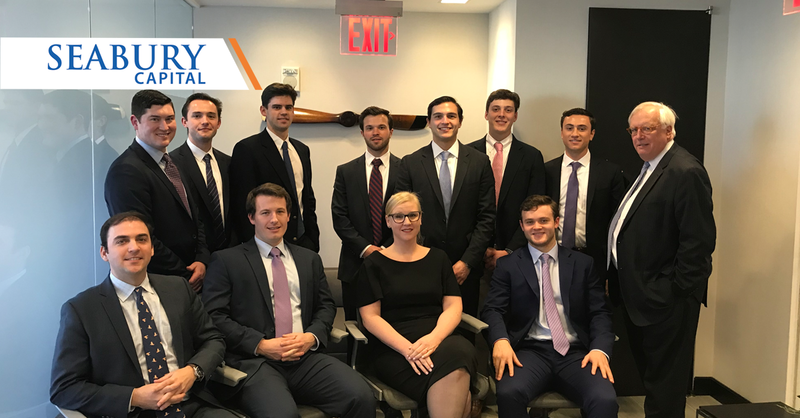 They participated in presentations and discussions with members of our Seabury Capital team as part of a career mentorship program that brings together Holy Cross lacrosse players and alumni across different career fields. Currently, two recent graduates of the College of the Holy Cross are employees of Seabury Capital, and our chairman, John Luth, is a proud ’74 graduate (pictured below with Holy Cross lacrosse players). “Our New York team and I were very pleased to welcome Holy Cross’ men lacrosse team and share our guidance and support as they prepare to enter the business community,” said John Luth, Seabury Capital Chairman & CEO.